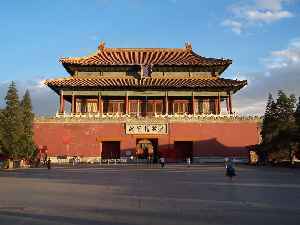 The Forbidden City is a palace complex in central Beijing, China. The former Chinese imperial palace from the Ming dynasty to the end of the Qing dynasty, it now houses the Palace Museum. The Forbidden City served as the home of emperors and their households as well as the ceremonial and political center of Chinese government for almost 500 years.